There are a number of notable dangers in selecting a pest control Company whose members of staff are not competent in carrying out the job. In order to fully comprehend these dangers, it is important to be familiar with the guidelines which all pest control professionals need to follow. These guidelines are referred to as the Integrated Pest Management principles (IPM). These principles ensure that the dangers of unreliable pest control are eliminated. • The use of ineffective or extreme methods pest control methods to control a particular pest. Each and every type of pest has a particular set of pest control methods that are most effective with the pest. For instance in order to effectively control ants, the methods that are most effective are those that rely on denying ants access to food sources. These methods either focus on physically preventing ants gaining entry into the house or focus on discouraging the ants from trying to enter the house. Physical preventive measures involve the use of substances that are physically and chemically harmful to the ants such as diatomaceous earth or boric acid. Diatomaceous earth attacks the exoskeleton and dries out the insects while boric acid interferes with the ants’ metabolic system. Chemical preventive measures aim to interfere with the chemical trails insects use to find food. These include use of aromatic compound such as camphor and caffeine derivatives. The unqualified staff members of unreliable pest control companies usually result to methods that have the greatest visible impact even in the early stages of pest infestation. Such unqualified pest control staff might result to use of the hazardous chemicals even where it is not warranted. For instance some may result to the use of DDT (Dichloro-Diphenyl-Trichloroethane) to deal with a mild ant infestation. DDT is a chemical that has been banned for use in the home. It is however sometimes used in controlled outdoor spraying of extreme infestations of mosquitoes, tsetse flies and other disease carrying pests. The extreme danger posed by DDT lies in its high residue effect in the body with subsequent side effects manifesting up to 7 years after the exposure. Furthermore this chemical has been shown to have a high absorption rate across the skin which makes it one of the most poisonous chemicals that has ever been used for pest control. A disturbing scenario is demonstrated when the untrained staff from unreliable pest control companies prefer to use highly poisonous rat poison bait to control a possible rat infestation. First and foremost the staff members of unreliable pest control companies are usually not in a position to correctly assess the extent of an infestation. This increases the likelihood of misjudging a potentially severe infestation for one that is in its early stages and vice versa. The use of highly poisonous bait usually fails in large rat infestations. This is because the rapid death due to the high mortality of the poison can result in healthy members of the rat colony learning to avoid the particular poisonous bait. Such a large infestation usually requires a slow acting but lethal poison that offers sufficient time for the reproductive members of the colony to consume the poisoned bait. The earlier approach would be best for an emerging infestation. Unreliable pest control companies tend to employ untrained and unqualified staff members who are not aware of the correct procedures pest control. For instance such staff might use incorrect protocol in dealing with a clearly visible termite infestation. 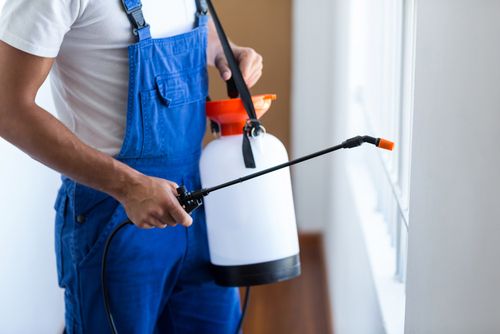 In such a scenario it is common to see unreliable staff spraying infested walls and basements with the insecticides used to control the termite infestations. These same members of staff then proceed to dump chemical concoctions down any visible protrusions of termite mounds near the affected premises. Then once the visible termite infestation is eradicated these unqualified members of staff conclude that the job has been successfully carried out. However nothing could be further from the truth. The first mistake is evident from the spraying the walls and basement with the chemicals that exhibit a prolonged chemically-active state and a high absorption rate across the skin. This means that anyone who ends occupying the house even a month after the spraying will still be susceptible to poisoning. This includes human being and pets, with children being in the greatest risk of developing severe symptoms which can include severe migraine to seizures. The correct approach in dealing with termite infestation involves digging a three foot deep trench, one foot from the perimeter walls, soaking the trench with the imidaclopid termite killer and then covering the trench. This effectively avoids contact with the chemical as well as ensuring the pest control approach is effective for much longer. The second mistake is seen in the act of dumping highly poisonous chemicals into visible termite mounds. This approach is both ineffective and poses a great risk to the environment. This is because the poisonous liquid might end up missing the queen’s chamber completely giving the colony a chance to recover after a prolonged remission. The liquid would also find an easy path to the underground water table therefore poisoning the water from nearby wells and streams. The only outcome of such careless and dangerous practices is a rise in unexplainable and problematic medical conditions in an entire neighborhood. This is even without mentioning the potentially devastating impact on local flora and fauna. The best approach to dealing with visible termite mounds is to physically dig them out. This guarantees that the queen’s chamber is breached and destroyed. This is evidenced by the presence a white to creamy-white cakey lumps emerging from the ground, the material that makes up the queens chamber. It is clearly evident that the dangers posed by the selecting an unreliable pest company cannot be ignored in the very least. This is why it is paramount for anyone to always make sure that the pest control company selected is one that adheres to the Integrated pest management principles for effective and efficient pest control. WE ARE OPERATING 24 HOURS 7 DAYS! It is always good for you to hire pest control services Singapore, if you think that you are having so many issues of pests at home. If you leave the pests without controlling them they can really create so much of issues to you. It is always good for you to understand the various advantages that you get by hiring the pest control company for your purpose. Understand this well so that you may feel like hiring one company for the pest control at home rather than doing that by yourself. It is always good to get professional help for the things so that you can get it done in the most amazing way with full satisfaction. When you are doing pest control by yourself at home there are chances for you to apply pesticides in the amount more than what you actually need. There are chances for you to easily make use of that in appropriate manner for getting the kind of the pesticide that is most suitable for you. When you are making use of the pesticides, you should know the amount to be used. It is not good for you to choose to apply pesticides as you need. This can gradually lead to much trouble. If you are having the issue of so much of pests at home then there are chances for the family member to fall ill gradually. This kind of situation needs to be avoided. When you are making use of pest control services Singapore they make use of the right kind of methods so that the pests can be controlled. These people may not use any kind of harmful chemicals as like you do but it can have great possibilities to control the ailment. When your house becomes clean from the pesticides then it is possible for you to get much amazing kind of results. When your house have got so many pests in it there are chances for you to always contribute much time in cleaning the house and the environments. The droppings of the insects and the dead rodents etc can create so many issues to you which may need you to spare much time for this purpose. You need not have to clean when the pests are removed. There are least chances for the individuals to go around and clean the house. If you or your family have any kind of bites from the bugs, or other insects then there are chances for this to create allergies to skin. It can make you stay without such kind of issues to the skin. If you are getting the pest control company Singapore then it is possible for you to get the service which can make you stay in peace and away from itching and such kinds of troubles. It is possible for the individuals to have lesser chances for going through such kind of issues. Pests in home can hinder your sleep too. When you have rodents running here and there or other pests crawling on the walls then it can make you feel uncomfortable in home. 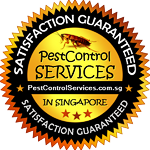 When you get the help of pest control company Singapore, they can easily tackle the issues of pests. Having such kind of the service can easily make it possible for you to get the best and finest kind of service for your need. It can provide you with great time and much awesome sleep. Keeping your home away from the pests can make you feel much good and comfortable. It is good for you to hire a pest control company Singapore which can provide you with great and amazing way for controlling pest. When you hire such a company there is no need for you to waste money in buying pesticides and then apply that. These pesticides may not have any effect on the pests and may be harmful to you. It is a huge wastage of money in buying and using pesticides by your own. The best thing that you can do is to get the help of pest control Singapore so that your house become out of any pesticides. There are chances for the pests that chew or nest in the wood can cause issue to the structure of home. It is necessary for to try dealing with the pests with the help of pest control Singapore so that the whole issue can be handled well. There is no need for you to make use of this and get the finest kind of the results. It is possible for you to get the best way for keeping your building much safer when you are using the proper kind of pest control Singapore. It is possible for you to get more time for yourself when you are assigning the job to a professional pest control Singapore. If you are doing this work by yourself then you need to spare much amount of time for this purpose. This can steal away your spare time that you want to spend with your family or friends. Do not put yourself in this hassle but rather get the help of the professionals for this job and in the best possible way. There are chances for the individuals to make use of the professionals companies for pest control so that you can get more knowledge. They usually gives you knowledge about various things so that it become much easier for you to handle the situation well and in much better manner. 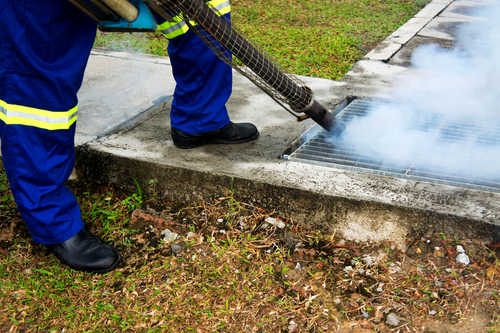 If you hire a good pest control Singapore then there is no need for you to worry as they usually do the pest control with less amount of toxins. They can eliminate pests well and also do that without so much of pests. It is really a feeling that makes you relaxed to know that your kids are safe. Why choose us as your pest control company? The experience is one of the important aspects that you must consider when you are looking for a reliable company to get rid of the pests in your home. We have been in service for many years now and for that, we have dealt with a number of pests over the years. Throughout the years, we learn new things and that is why we have a deeper knowledge in the field of pest control. Trust is a valuable aspect between a client and a company. The company must be able to prove its ability to provide the expected services and deliver the results as the client expects. It behooves the company to deliver their services as the client requires. This is what we value in our company. We ensure that our clients are treated with respect and that the service delivery is as mentioned. If we mention on our quotation that we will get rid of all the pests, that is what we will deliver. If we mention that we will be in service and available any time of the day, we will be there for the client. We believe in offering our clients with the most reliable services, according to their expectations. That is why many clients choose us to eliminate pests in their homes. A pest control company is not complete if it doesn’t have all the necessary equipments to get rid of the pests. We are fully loaded with all the necessary equipments and tools that would help us eliminate the pests in your home. This helps us to make work easier and ensure that the pests are eliminated in a more friendly and effective manner. We understand the risks of handling the pests, that is why we also have the correct gear for eliminating the pests. This will prevent further spread of diseases. In case there are pests that are tricky to handle, we have all the equipments that will help us eliminate them easily. Nothing counts than having a company that has been certified by the necessary authorities, especially when dealing with anything related to the health of a person. 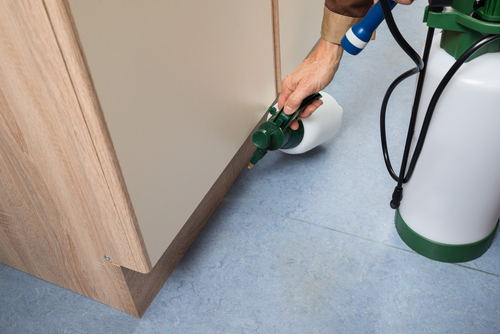 The pests are known to cause severe health risks, which needs a professional to handle them. All our exterminators have been well trained in eliminating the pests in the right manner. We have been certified and have valid certifications to prove our genuineness. Another aspect that proves that we have been licensed and that we are a legit company is that we are members of the SPMA. This is the Singapore Pest Management Association, a body that helps to control all the pest control companies in Singapore. This body helps to represent the members in case of any problem and in addition, it helps to protect the client. The client is protected when the body ensures that there is no any scam company out in the market. This is another aspect that links us closer to our clients, we treat them not just as mere clients, but also as a friend who needs professional help. When our exterminators approach your home, they would work with you like a fiend, but they end up performing an excellent job. This makes us different from most of other companies, since our clients review us as a friendly and caring company. We do not aim much into finding many clients, rather, we aim at forming a trusted friendship with a client. We will not just serve you and end the deal, instead, we will always get back to you for questions about the condition. We are not just a pest control company, but we exterminate every type of pest in the house. As long as it is called a pest and it causes you discomfort in the house, we will be able to eliminate it. With our equipments and tools, we are able to get rid of all the pest in the house. Whether you have rates, mice, cockroaches, or any other pest in the house, we will help to eliminate them in the easiest way. It will not help for a company to come to your house just to get rid of the pest and leave. We tend to work differently. Before eliminating the pest, we will need to know where they are mostly concentrated, which will help us know their habitat. As we are following this up, we will be educating you on the possible causes of the pests in your home. After we successfully get rid of all the pests in your house, we will then inform you on the safety precautions to take in order to prevent the pests from recurring. We will also educate you on all the possible risks of having such pests in your house. We aim at helping our clients change their lives completely, rather than hiring an exterminator all the time. Pests can be very irritating and uncomfortable, but with a reliable pest control company, you can be sure of having a relaxed and safe environment in your house. It will also be cheaper to hire a reliable company, since they will help you get rid of the pests completely. For that, you will not need to hire the, frequently. These are the reasons why you should choose us to get rid of the pests in your house. Copyright © 2008 PestControlServices.com.sg All rights reserved.